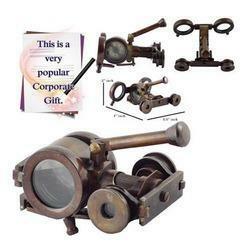 Prominent & Leading Exporter from Hyderabad, we offer pocket compass, corporate artifacts canon binoculars, retro pocket watches, vintage looking collectible pocket compass and vintage brass - collectible mechanical watch. Assisted with highly advanced techniques at our efficient manufacturing unit, we are able to offer a wide range of Pocket Compass. These products are designed as per the set market norms by our experts using high quality material and ultramodern techniques. We offer our products in varied designs & finishes as per the need of customers. Our products are provided in quality packaging so as to maintain its defect free range at customer’s end. Since our inception, we are broadly instrumental in offering superior quality Corporate Artifacts - Canon Binoculars. Our offered product is designed by our skilled artisans using optimum quality material as per the market trends. The given product is renowned for its smooth finish & durability. This product is made available in various designs and finishes in accordance with the clients' requirements. 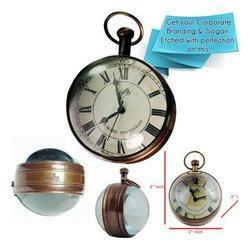 We are highly efficient in bringing forth an astonishing range of Retro Pocket Watches. The provided watches are checked before delivering to customers in order to ensure its flawlessness. 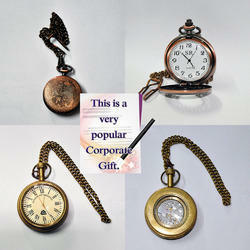 These watches are designed by our craftsmen with top class material and advanced techniques. Provided watches are available from us in customized options as per the market preferences. 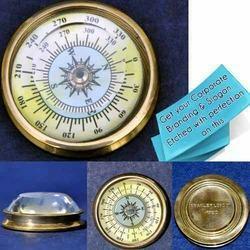 We feel immense proud to acquaint ourselves as the top ranking manufacturer, trader and supplier of Vintage Looking Collectible Pocket Compass. These products are acclaimed in the market for their excellent finish & quality. We design these products from top grade material by employing latest techniques. Our offered products are available from us in quality packaging for providing defect free range in a given time. Looking for Collectibles and Retro ?